Can't think of what to get that special someone this holiday season? 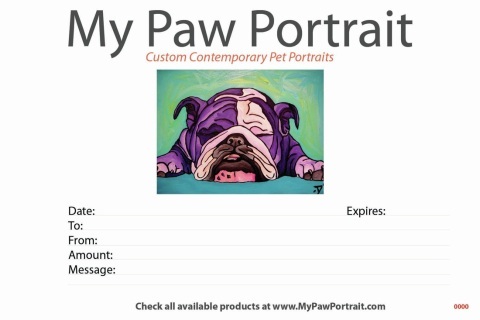 A My Paw Portrait gift certificate is a great way to show someone you wanted to get them something fun and unique this holiday season! 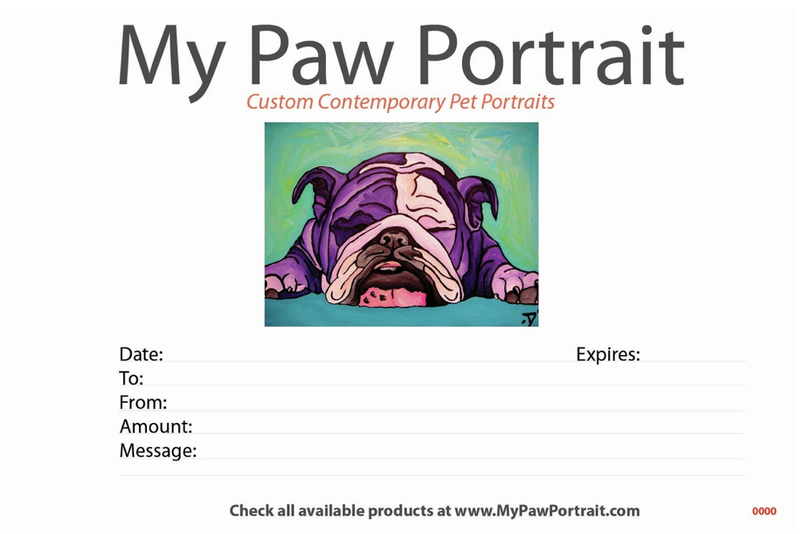 The certificate is good towards all available My Paw Portrait products and expires one year from the date of purchase! 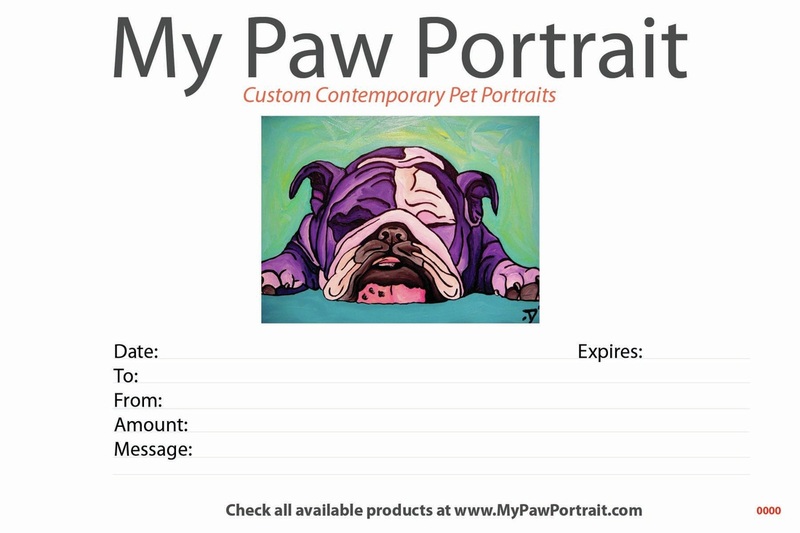 After purchase, a separate email will be sent to you for how you would like the gift certificate to be filled out.